I always wonder if caffeine can be absorbed from the pores of our skin by washing with coffee soap. 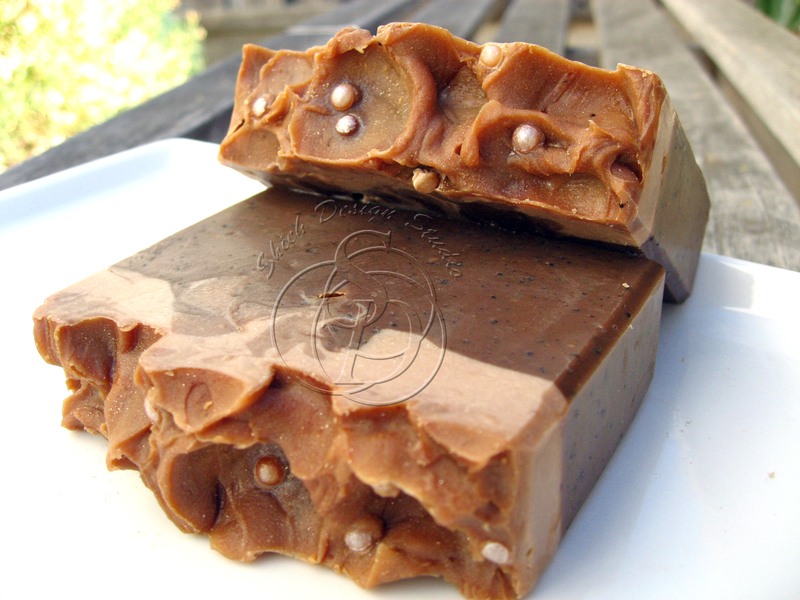 Of course that means caffeine has to survive soap making when the fatty acid is reacting with the lye. I can never find out the truth unless I have lab extensively testing the soap out. 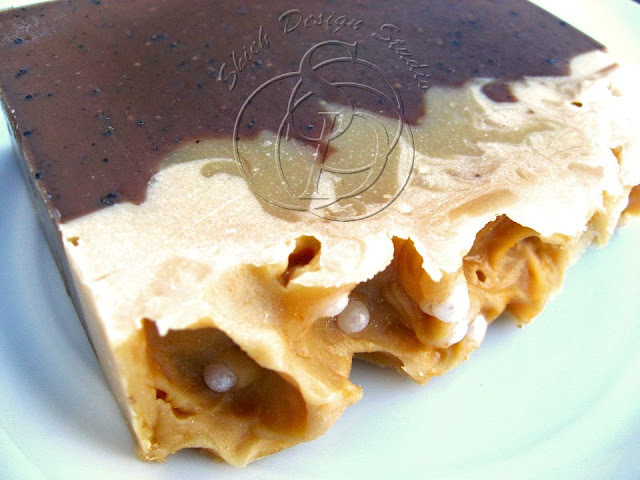 Until I'm a millionaire and have the extra $ to send my soap to the lab, I'm just going to make the soap and test it out on myself. I'm thinking, even if it's not for the caffeine injection, it is still an yummy soap to shower with. What kind of coffee lover would not like the idea of drenching in (what else of course coffee) in the morning shower for an extra pick me up?! 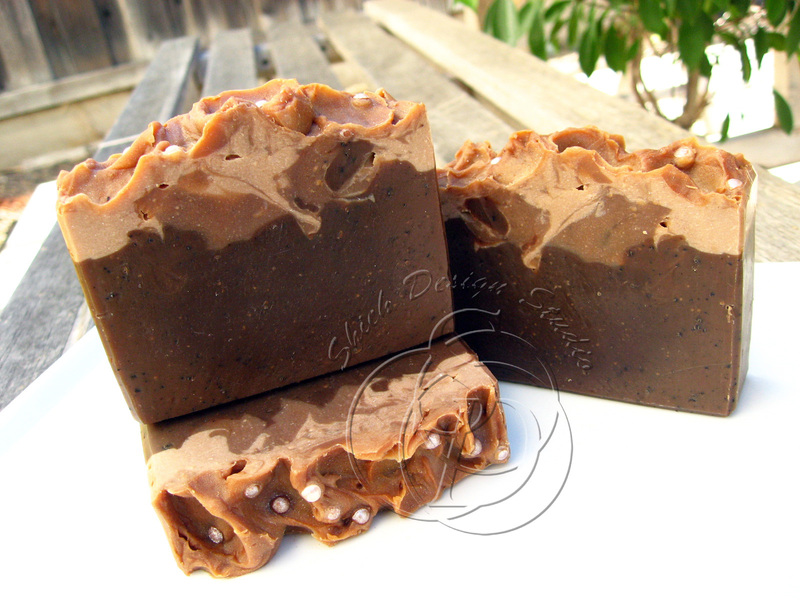 This batch is made with triple espresso shots, triple grind coffee powder, coconut milk, and scented with yummy Colombian coffee fragrance, then top off with caramel scented cream top! 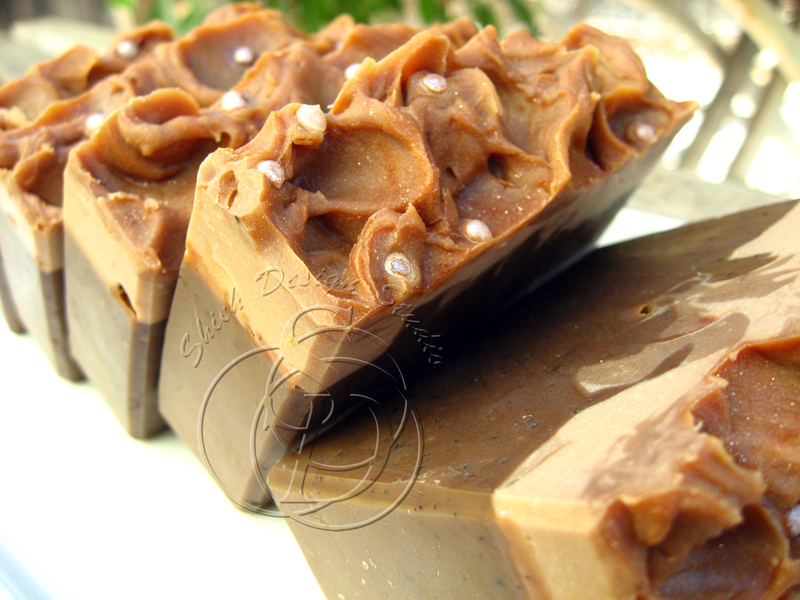 I knew the fragrance oil I used for the top cream has certain percentage of vanilla and it would discolor to some kind of caramel or tan. But I really want it lighter, like the actual foam in the espresso drinks. I added some titanium dioxide to lighten it up but it didn't work as well as I thought, look at what happened a month later, the top still darkened! If you are not comfortable with human breast milk please accept my apology and skip this post entirely. Ok, if you decide to read on, this is obviously talking about my experiment of human breast milk soap. 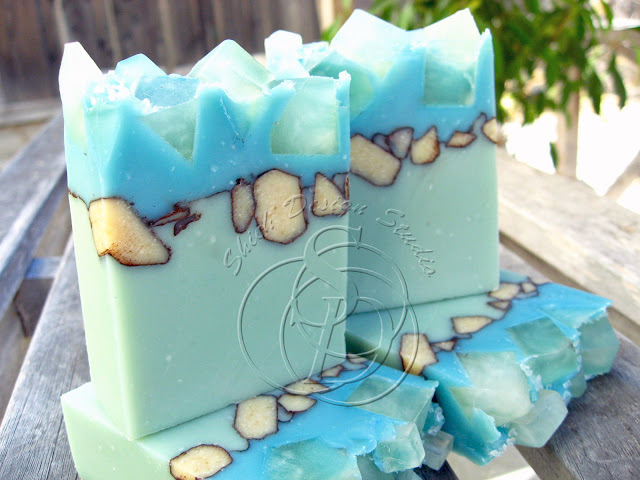 People either love it or hate it when talking about using "human fluid" to make soap! I get extreme reactions from both sides of the fence. To me there's no difference between all mammal milk. I do see why people worry, they are afraid of the possible contamination in milk. Breast milk is hard to come by anyway, especially from a source I know and trust. So when one of my good friends offered me her extra milk in the freezer I gladly took a small box! 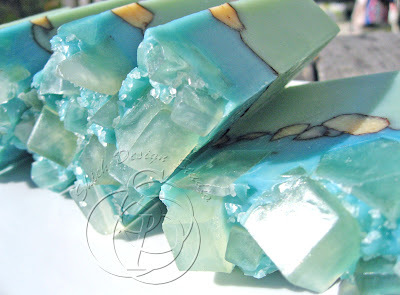 Her baby is just not consuming all the milk she can pump, rather than throwing it away, she gave it to me knowing that I'm always curious about making soap with all kinds of ingredients. I have used a bar of breast milk before from a soaper in Taiwan. To be honest I was not impressed at all. But I can't say it's because of the breast milk. 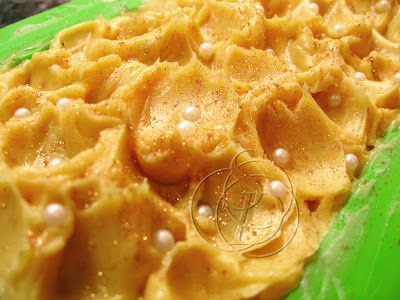 For one reason, I do not know the method she used nor do I know exactly what % of oil/butter or superfat she used. 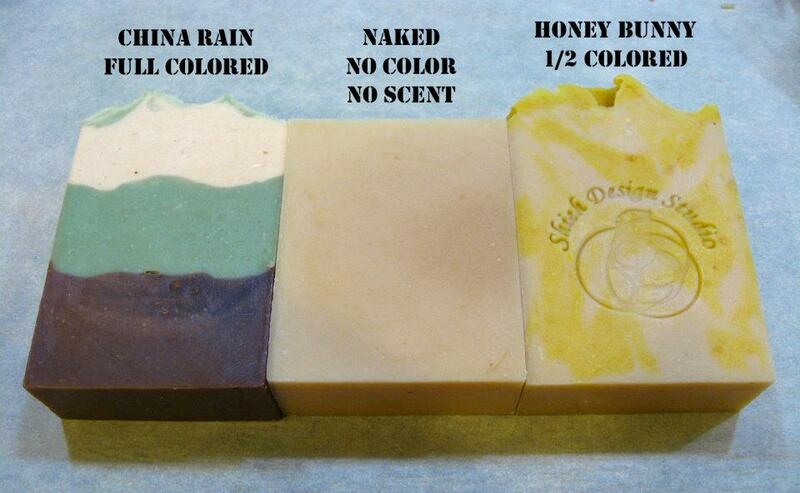 For awhile there's no way for me to draw a conclusion on breast milk soap, well, until now! 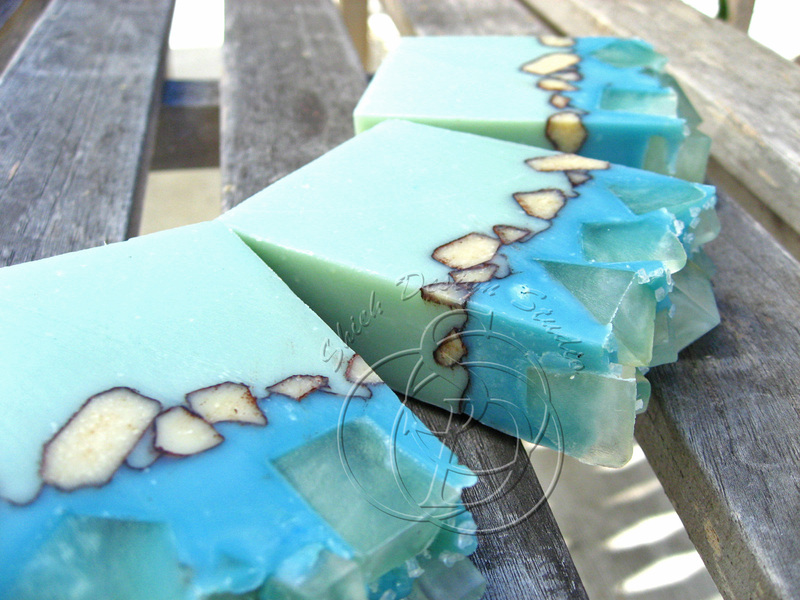 I made 3 small batches of breast milk soap for this experiment. I did one totally naked, no scent or colorant added; one with some FO and half colored with a little yellow mica; then last one fully scented with FO and colored just like what I would do with all my other soap. Also, I used the same recipe as I make my other naked milk soap (coconut milk, cow milk, soy milk... etc.) and same superfat %. Photo is very self-explanatory, you can see how the milk affect the coloration. Now I have to let them cure and start my sink testing with water. See you all in Part 2! It is finally published, though I totally skipped voice over because I really don't have time. It takes hours to voice over a video that's almost 14 minutes long. I did managed to add comments and tips where I see fit. I also tried to add a piece of tropical music using youtube video editing but unfortunately it didn't go well, I have no idea if any of the editing ever got saved. Anyway, here's the video you all been waiting for! I'm easily bored, I've mentioned this before in my blog, but really, I'm bored, yes, AGAIN. This is another tropical theme, inspired by the colorful tropical cocktail and fruity fragrance oil - Mango Papaya and Pineapple Jasmine. 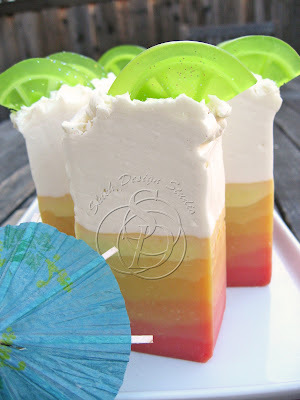 The bottom is regular CP soap done in layers like the lava or volcano style cocktail drinks, then top off with whipped soap as cream on a tall glass of smoothie. For those of you who do not know what whipped soap is, it is made with very high percentage of hard oil (not harsh, just high melting point) and butter to make it high in saturated fat and literally whipped it into soap with lye water. 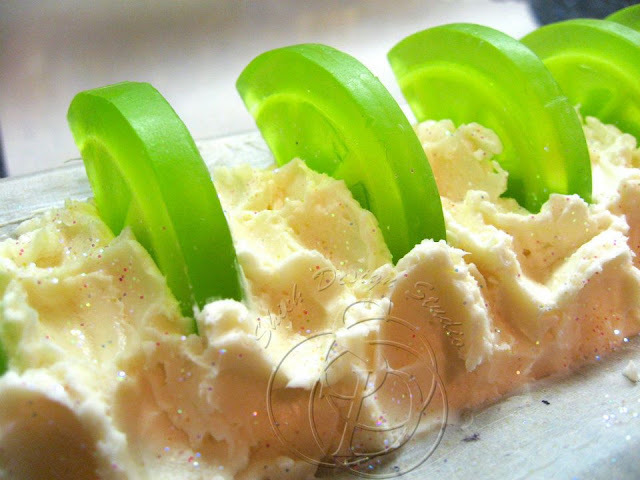 This method produces soap that combines with air to make it fluffy just like you are whipping heavy cream. 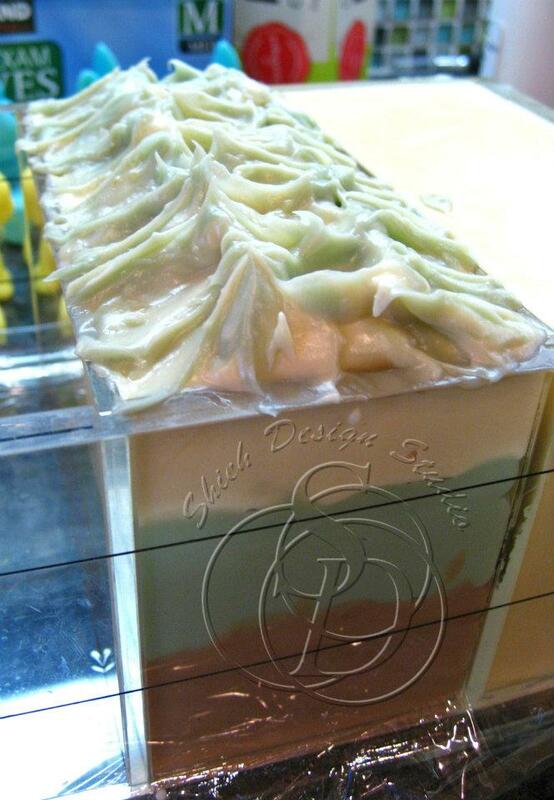 The end result is a low density soap that floats in water. Don't take me wrong because it is not going to stay like whipped cream. After cure, the soap is going to be hard just like a normal bar of soap, but with air built in it. 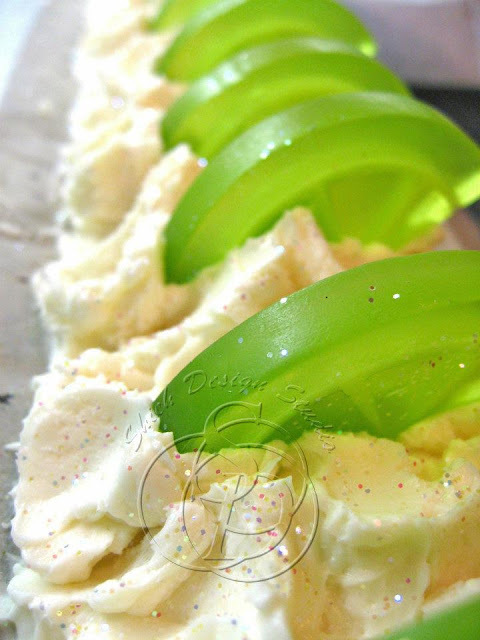 Kids love these kind of soap as they can play with it in bath tub and you'll never lose it to the bottom of the tub. Oh I'm not done yet! The lime slice is done with aloe M&P soap base, these are time consuming to make and I swear I'm not doing it ever again! 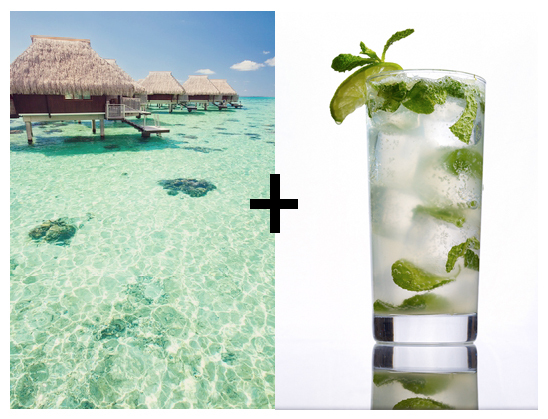 Sip the Mojito, Would You?! One of my Facebook followers suggested me to make a tropical related theme soap because she's craving for a relaxing beach vacation. What do you think of when someone mentions tropical vacation? 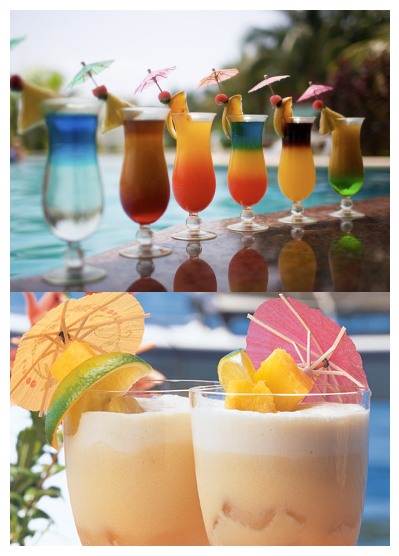 I don't know about you but all kind of cocktail drinks start to look pretty good! 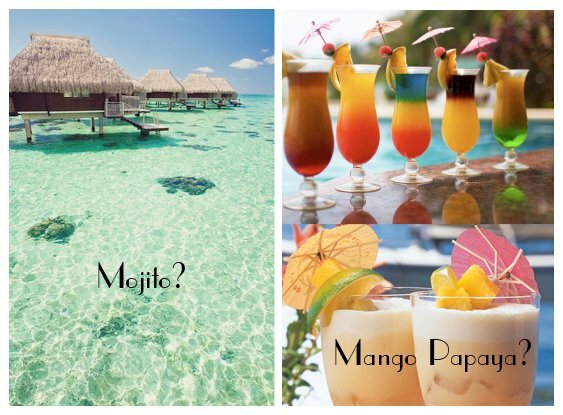 I proposed 2 ideas on my Facebook: Mojito or Mango Papaya? These are my inspirations, what's yours? Well, Mojito won obviously. 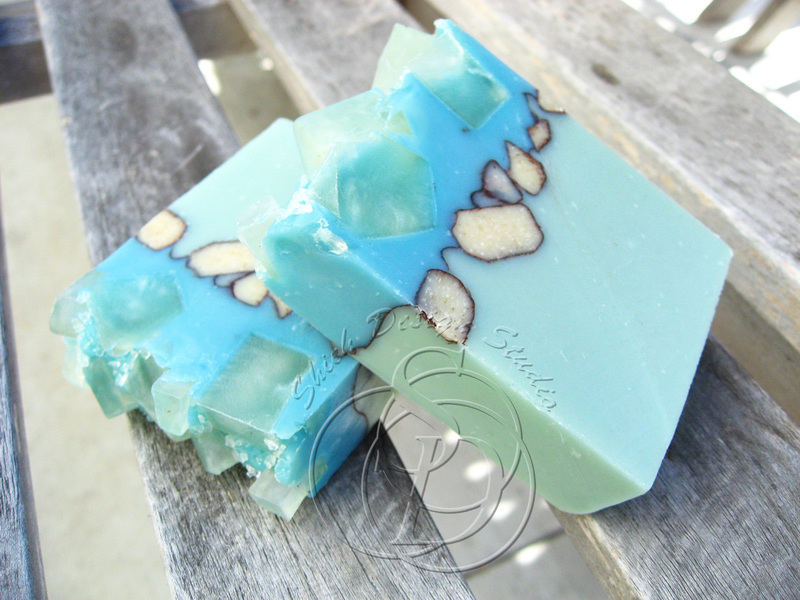 So here's the soap, scented with Mojito fragrance enhanced with Bergamot and Spearmint. 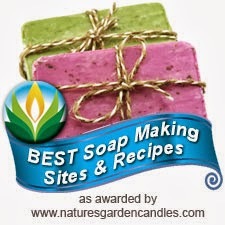 First Ever Soap Sale Starting 7/7/2012! Now you can own what you see on my blog! I need more space so I can make some more soap to blog! Please makes sure you put down correct shipping address!